Zebra card printer solutions provide businesses enhanced security, improved quality, lower costs and better customer service. Choose from a broad range of full colour or monochrome card printers. Options range from Ethernet connectivity, smart card and magnetic stripe encoding, to lamination for higher security and card durability. The purchase of a Colour Label Printer can be a potential minefield where buying without the right type of specialist technical and application support can lead to the purchase of the wrong type of Colour Label Printer that will prove to be expensive to operate and may not produce the quality of label you initially expected and were promised. SRS are taking on a new partner in our sheet-fed printer department. We will soon be announcing who they are. Watch this space for more details. From the creators of the very first Windows® label design software comes Label Direct – a PC labelling program written for specific printer ranges which offers unrivalled performance and control of your printers’ features. By driving your printer in its native command language, Label Direct avoids the complexities of printer drivers whilst offering full control of your printer’s features and distinct performance advantages over other labelling programs. What’s more, the program also includes accurate screen representations of each printer’s fonts making Label Direct completely and uniquely WYSIWYG. 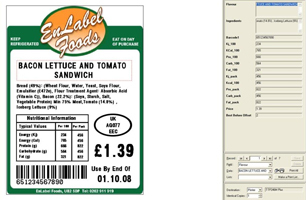 Label Direct offers all the features you would expect from a professional labelling package including database integration, copy fitting, variable graphics, serial numbers and industry standard linear and 2D barcode symbologies; plus many other unique features developed in response to Image’s 25+ years of experience in the labelling industry. 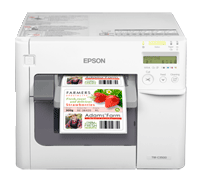 EnLabel is a comprehensive label design and print package that allows you to effortlessly design sophisticated labels utilising barcodes, variable data and database integration for output on any Windows printer. 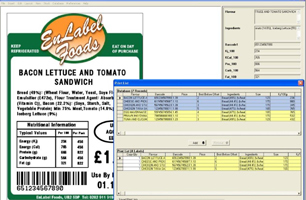 Label production often requires formatting of input data. EnLabel has comprehensive facilities for handling data including keyboard data entry, option lists, incrementing numbers and serial numbering. Where more complicated processing is required the macro script feature provides all that a professional user needs for custom data manipulation. If your label data is already contained in a database, EnLabel lets you connect to it and present the user with a simple means of selecting records for printing. Enlabel is the first choice for PC labelling regardless of printer technology: thermal transfer, laser, inkjet or dot matrix. Choose the printer that matches your requirements and operating environment. EnLabel drives any Windows printer. We can supply genuine and compatible replacement printheads for most printers. Simply call us with your printer details and see how we can help. Our label dispensers and applicators will supply you with an economical and faster alternative to hand peeling and applying labels and can dispense and apply many formats and materials. Our range of Label Rewinders, Unwinders and Counters are simple to use and compatible with all thermal printers.